This is a loaded, sweet post! 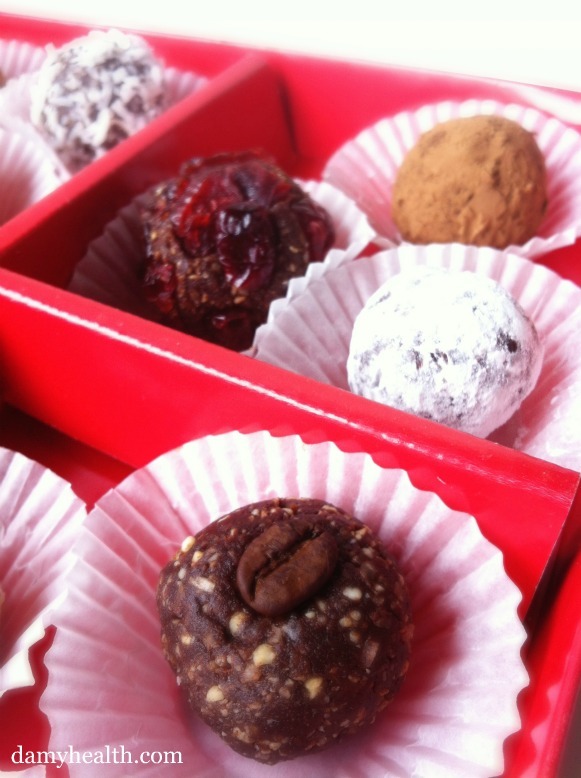 You never have to miss out on cookies, chocolates or truffles again. This post is perfect for Valentine’s Day (heck… these recipes are perfect for any occasion or any day you want something sweet)! Each of the recipes below have suggested styles but also include great options to either make them into chocolates or keep them more clean. Use your own discretion depending on your goals. You can add 3 Scoops of Protein Powder to any of the following recipes to make them into protein balls if you choose. 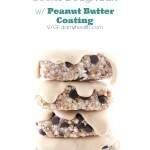 If you find adding the protein powder makes your dough dry just add 1 tbsp of warm water at a time. 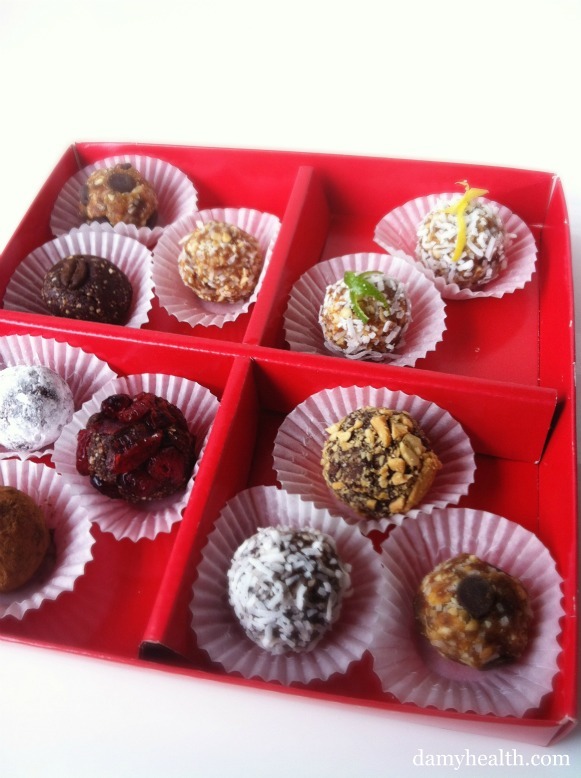 These balls, truffles or raw cookies look beautiful served in mini paper muffin cups, plain on a plate or served using bamboo skewers. 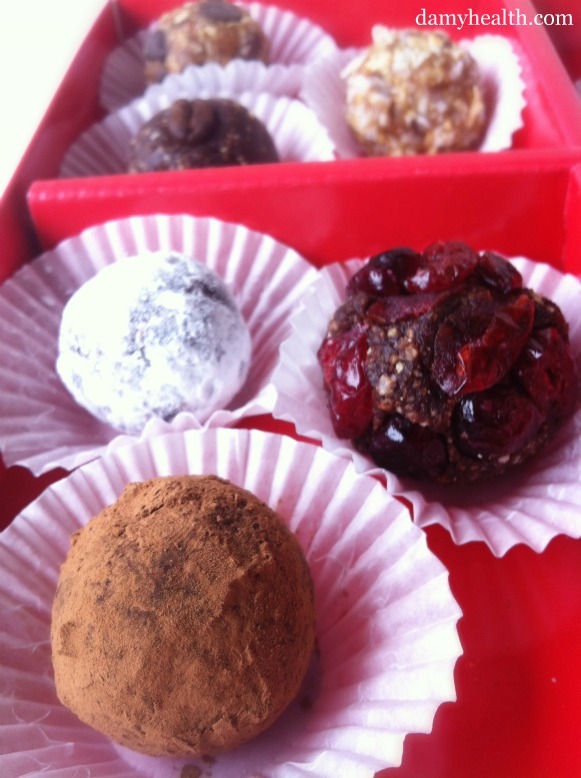 Remember – any of the following recipes can be made into chocolates by simply dipping the balls into dark melted chocolates or drizzling dark melted chocolate over the balls. When using dates and nuts make sure you have a high quality food processor. If you don’t try cutting up your dates and fruit before processing. If your dates are dry your dough will not stick together. Add 1 tbsp of water at a time to your mixing dough until it sticks together. If you are allergic to nuts feel free to substitute the nuts for seeds and seed butter. 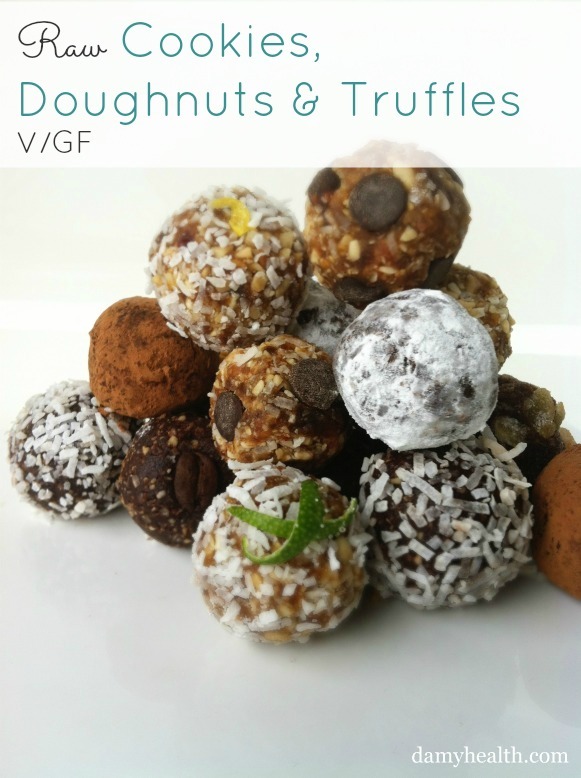 These recipes are clean, vegan, raw, no-bake, and gluten free. Add your ground flax and pulse until blended. Tip – For a special treat these are delicious dipped or drizzled with chocolate. Add your cashews to your food processor and blend until it is flour. 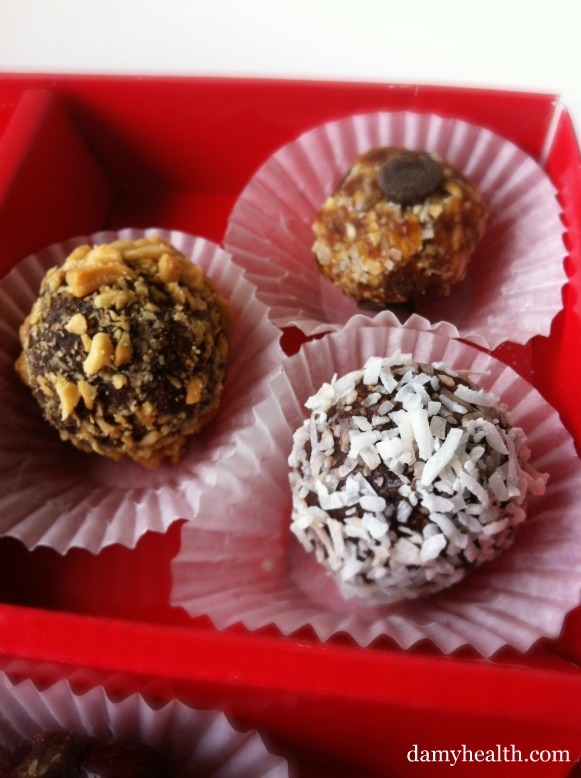 Place balls on a plate or in a container, cover and place in the refrigerator for a few hours. 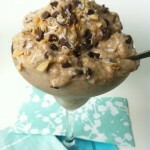 Add your unsweetened coconut and pulse until blended. Tip – These are delicious rolled in cocoa or made into chocolates by drizzling chocolate overtop or dipping them in dark chocolate. Using your large food processor bowl and blade process all ingredients except chocolate chips until dough like consistency with visible chunks of nut. Manually fold chocolate chips into crust. Add your 1/4 cup ground flax and pulse until blended. 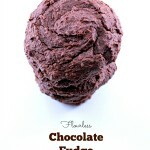 Tip – If you’re looking to enjoy these as a truffle rolling them in cocoa powder is another great option. Add the vanilla extract, dates, and water. Blend until cookie dough texture. Add the vanilla extract, ground flax, ground coffee, cocoa, dates, and water. Blend until cookie dough texture. Tip – These are also great just on their own without being dipped in chocolate. In a food processor blend the following ingredients until smooth – Cashews, Oat Flour, Ginger Powder, and Pumpkin Pie Spice. Add the rest of the ingredients and blend until dough consistency. Place dough in a bowl and refrigerate for 2 hours. 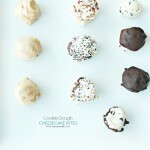 Remove from refrigerator and form dough into cookie balls. In a food processor blend all ingredients until chunky dough consistency. Tip – These are great rolled in cocoa or lightly sprinkled with cinnamon. 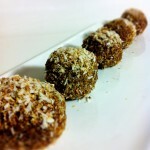 Tip – These are delicious rolled in crushed pecans or coconut. 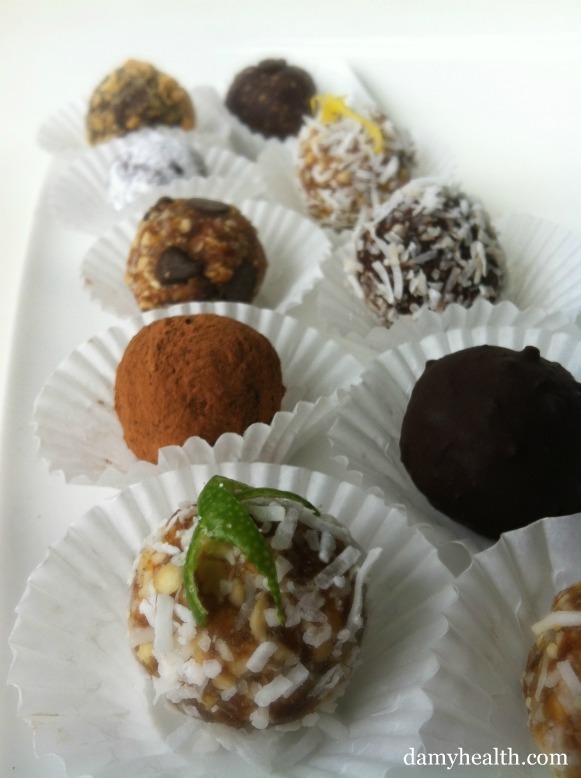 Tip – These are delicious rolled in coconut or dipped/drizzled with chocolate to make into chocolates. 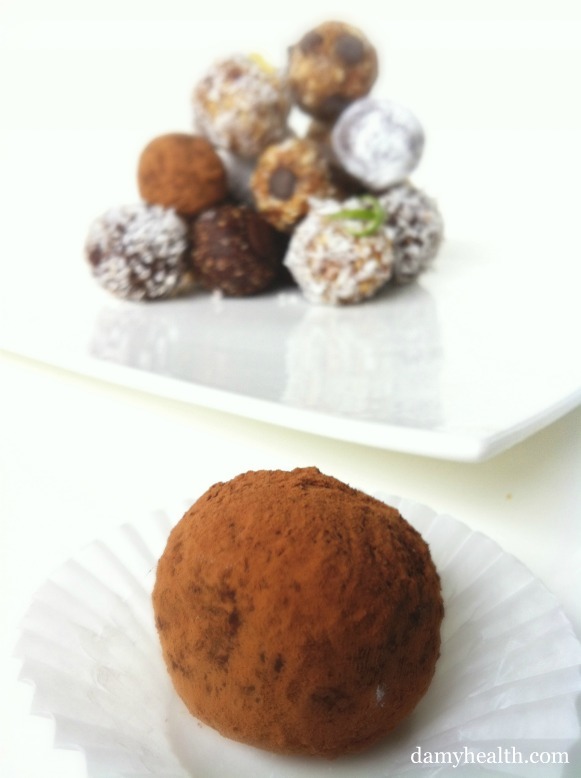 Tip – These are perfect on their own but are also great rolled in coconut, cocoa or drizzled with chocolate. 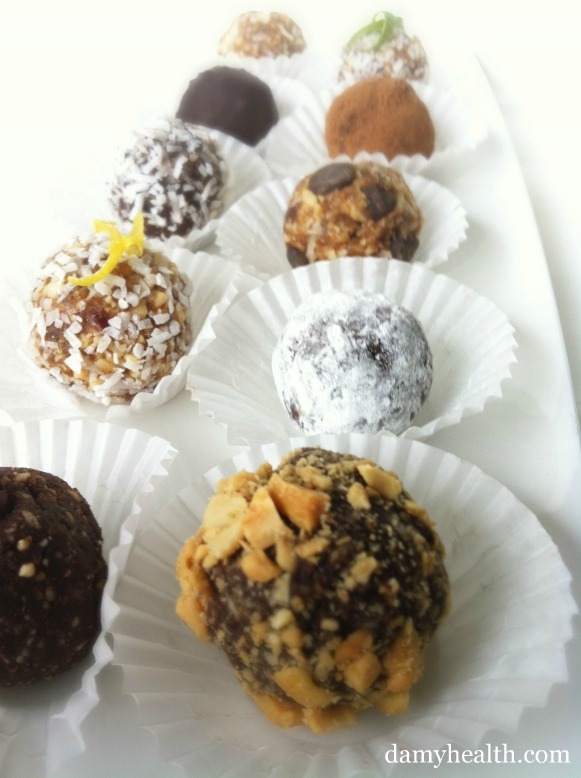 DAMY Members: Any truffle, ball or cookie that contains chocolate chips or is chocolate covered is considered a treat at 4 balls per serving. All other balls can be used as a meal 2 snack at 2-3 balls per serving. ahh!! can’t waaiiit to try these! i’m so happy i can satisfy my PMS cravings with no remorse of sugar hangover. thank you so much! You are so welcome Anna! could replace dates for plums? The plums wouldn’t work/be the same taste or texture for these recipes. That should be fine Kerryn. May I know how long can it store inside fridge ? I would say no longer than 1 week Rinoa.